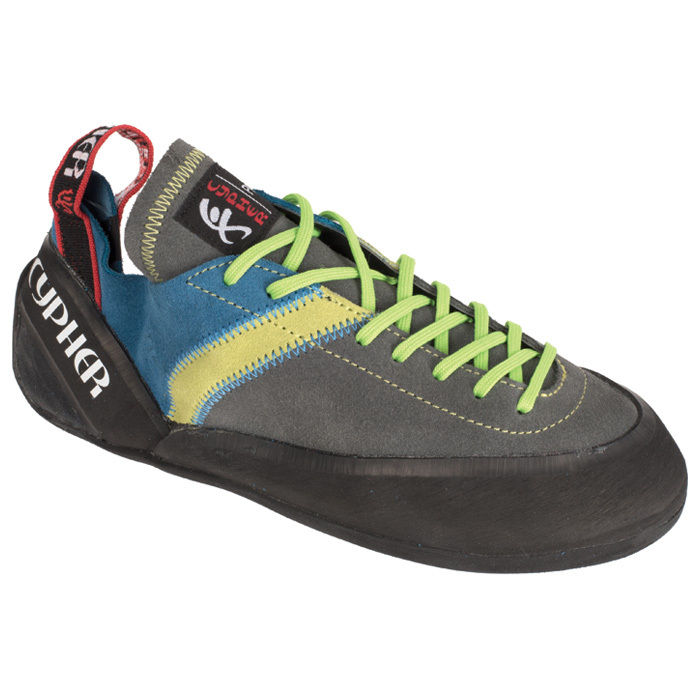 "Traditional in style and comfortable by design, the Cypher Prefix is the prefect shoe to get you into and psyched on the sport. It's a great option for a climbing gym’s rental fleet or for a new climber looking to invest in their first pair. The flat profile and the leather construction make for all day comfort and the sticky 5mm Enigma rubber covers from the top of the toes all the way to the top of the heel. Great for smearing on slabs, edging on vertical faces, or moving up the grades at your local gym. Limited quantity.